Now entering its third year, the country's premier grassroots motorsports event the FlatOut Race Series (FORS) is excited to announce the new 2017 season. The event tagged as “For Racers, By Racers” will run a total of eight rounds in the 2017 championship. Each one consists of a Time Attack and a Grid Race, where competitors are segregated into brackets based on lap time. This creates a level playing field that allows drivers to race within their limits and hones their skill. The first round will kick off on March 18 at the Batangas Racing Circuit and culminate in October at the Clark International Speedway. 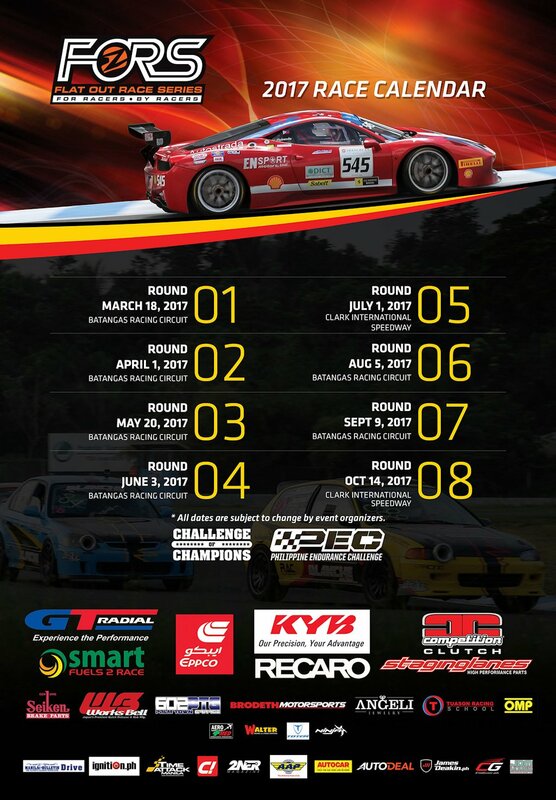 Also in this year’s calendar is the GT Radial Philippine Endurance Challenge (PEC) which is the longest-running and only endurance auto race in the country. New for 2017 is the 4-Hour PEC that will take place in June. This serves as a stepping stone for teams and drivers who want to take part in the longer 8-Hour PEC in November. “Our goal for 2017 remains the same, to development local motorsports in a fun, easy, and accessible program in a proper, safe environment where true skill can thrive. With this, we've introduced several new regulations to further improve safety standards for all participants. The Automobile Association Philippines (AAP) will also continue to watch over the races, helping us enhance our knowledge as organizers,” said FlatOut Race Series co-founder Edward Dela Rosa. 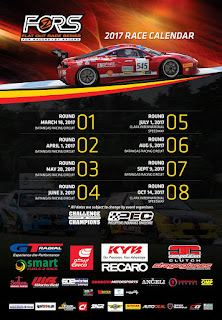 Entry fee is for the Time Attack and Grid Race is P3,500 per class, inclusive of timing and driver insurance. Package discounts apply if a participant decides to join more than one class. This is just a "Show Off". Mas masaya pa yon Ironman Challenge. Yabang lang ang gustong ipakita ng mga spoiled brats na ito!